We develop innovative solutions to manage and maintain medical asset in order to optimize resources. It is possible to centralize the management of admittance and telephone switchboard of more than one hospital/nursing home to a single person. This means less effort for medical staff during the night, for example. Box3 makes you achieve the highest level of efficiency: it monitors in real time the position “indoor” of portable medical equipment and keeps track of their maintenance status. In this way, medical assets and their maintenance activities are always under control. If you do not know the location of the medical equipment this can cost you a lot! Not only for the loss of time: if you do not know where a device is located, it can also have other serious liability implications in the event of an emergency or in case of using out-of-service devices. 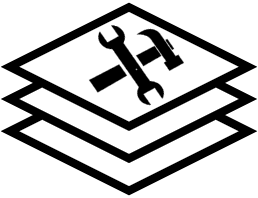 Trilogis Box3 is a suite for the management, coordination and maintenance of complex structures (CMMS Computerized Maintenance Management System). Box3 is very flexible and adaptable; It allows you to manage any type of asset, from a single boiler to an entire real estate. Box3 is perfectly integrated with the geography of managed assets (including indoor). Box3 optimizes and dematerializes the processes of organization, monitoring and reporting of assets. On-site operators access all data, maintenance history, and information material of that specific asset, in that exact place, in a shared and immediate way. Management monitors, in real time, data on the status of asset maintenance and reporting data. Box3 is a highly flexible and adaptable solution to systems already in use in the Company (personal, documentary, storage, warehouse, etc.) with the ability to provide a very detailed ad hoc customization and low impact on your business workflow. Whatever is your GIS or WebGIS system, Trilogis organizes high-level training courses to suit your needs. Our teachers have a proven experience and knowledge of the domain: they know what they are talking about. Training can often come into the system’s start-up: this is how you learn by creating and using your own data (training on the job). We work in partnership with you. To stay daily at your side, we have an efficient Help Desk service ISO 9001 compliant. Our service and maintenance customers can find answers to their small or big daily work problems. We work with different levels of support: telephone, remote, on-site, etc. Our infrastructure guarantees timely intervention times, speeds of remote connections and security/protection of the whole system. Strong in the experience of countless tenders, projects, software developments, evolutionary maintenance, etc., our SW laboratories have accumulated a wealth of knowledge of wide development tools, deployed in many environments (desktop, client-server, web, mobile etc…). Our experience allows us to offer software development services that cover the entire project cycle, requirements analysis and feasibility study, up to implementation and subsequent maintenance and support. Complex Territorial Information Systems are made “orchestrating” other systems and integrating their data. For this reason we know how to design and realize “tailor-made” systems tailored to the needs of those who use them. Thanks to our DNA of innovators, we overcome the concept of simple “system integration” and expand it with the necessary “data integration” and “integration of applications”. The real asset of the Geographic Information System are geographic and descriptive data. GIS Data must be accurate, reliable and up-to-date. The quality of answer that a system can give depends on the accuracy of data in the database. A wrong one will produce incorrect information and, as in a chain, all other related information (cfr. GICO – Garbage In = Garbage Out). Even in this delicate sector, Trilogis has a tremendous experience and extensive domain expertise to help you to realize your best DataBase. Consultancy in the areas of LBS systems (Location Base Services) and RTLS systems (ZigBee, WiFi, ultra wideband, optical, etc.) and implementation of integrated systems. 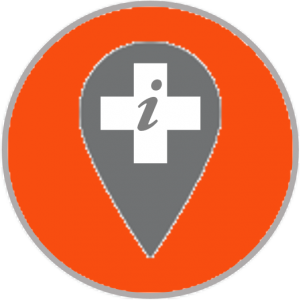 The goal of i-locate is to “navigate” inside buildings to reach the place of your your destination (public office, clinic, shop, etc.) using your own smartphone. It also allows for tracking “indoor” of objects and portable equipment for their localization, management and maintenance. UNCAP delivers a platform based on open industrial standards able to create new care & assistance paradigms. The result will be an open source, scalable and privacy-savvy ecosystem ready to help aging people live independently. The nympha project is a pre-commercial procurement (PCP) organized by the Autonomous Province of Trento aimed at creating services “mobile e-health” by doctors and patients support to innovate the treatment of bipolar disorder. The goal of the MDO project is the design and implementation of a service which realizes the Manuale dell’Opera (Buildings Manual). The MDO service will enable diverse and heterogeneous groups of users to access, update and share information on the work – even on-site – in cooperative and transverse mode of the many areas of interest. iCore is based on the principle that any real object and any digital object, which may be available, accessible, observable and controllable, can have a virtual representation in the Internet of Things and can be used beyond the purpose for which it was originally made. The FISTAR mission is to find ICT applications that will revolutionize the way health care is delivered today. These new technologies are designed to increase the degree of freedom and independence for patients who are self-control, especially in remote and rural areas. The Mopal project has the main objective to provide, through handheld devices, or smartphones or mobile phones, a platform to collect data, monitor, manage and report on social and health services scheduled at the assisted houses located in the territory. Mopal uses Open Source technology and it has been used by social workers or home carers. 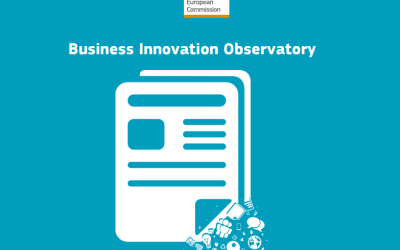 giCASES project involves close cooperation between industrial partners and universities; they will jointly develop new materials and new methods of “Learning case” for the proactive development of knowledge in the field of geographical information. We are proud to announce that we have become Associate Member of OGC – Open Geospatial Consortium. This is for us an important milestone and shows our commitment to develop interoperable geospatial solutions for our customers. The Trentino's journal L'Adige talks about the European project coordinated by Trilogis: i-locate. Read the article (in italian) and the press release (in English).